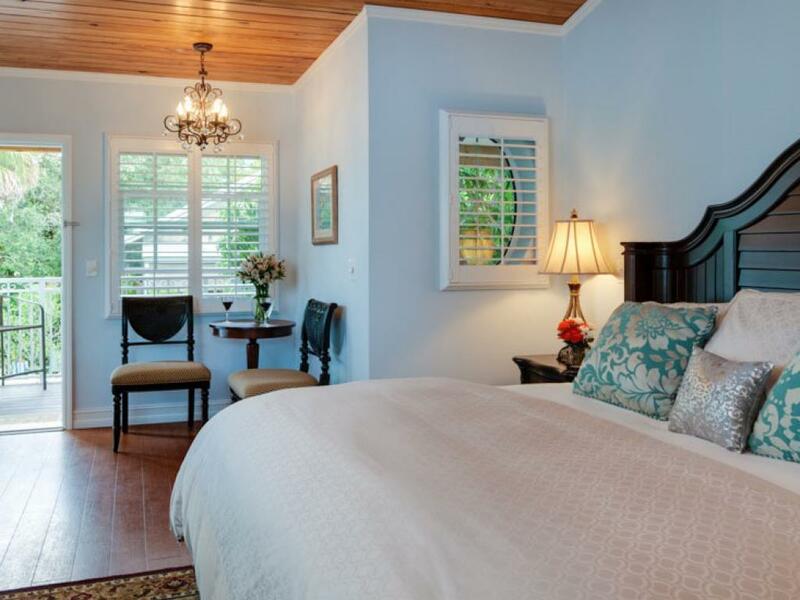 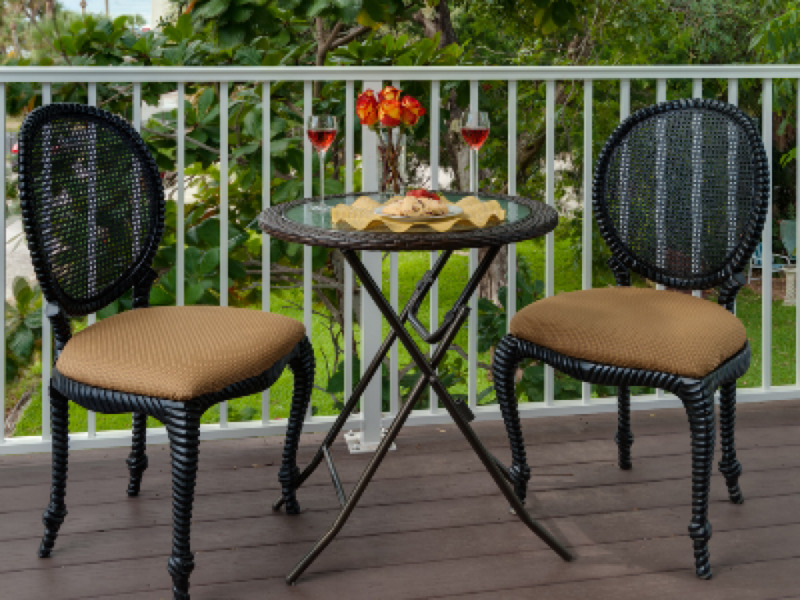 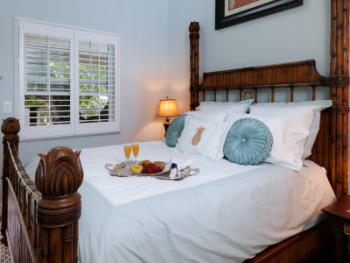 Enjoy tropical breezes from your balcony of this 2nd floor Deluxe room in the. 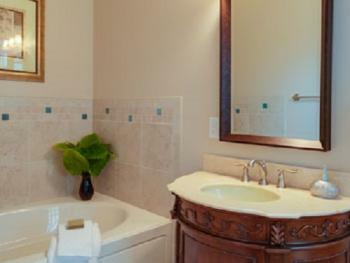 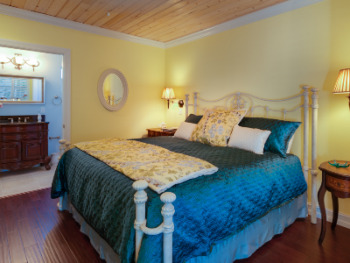 Room features a King sized bed, spa tub and separate walk-in shower. 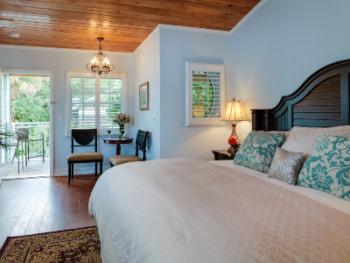 Poolside in the Driftwood Lagoon, this exceptional ground floor room features a King sized bed and a spa bath and walk-in shower. 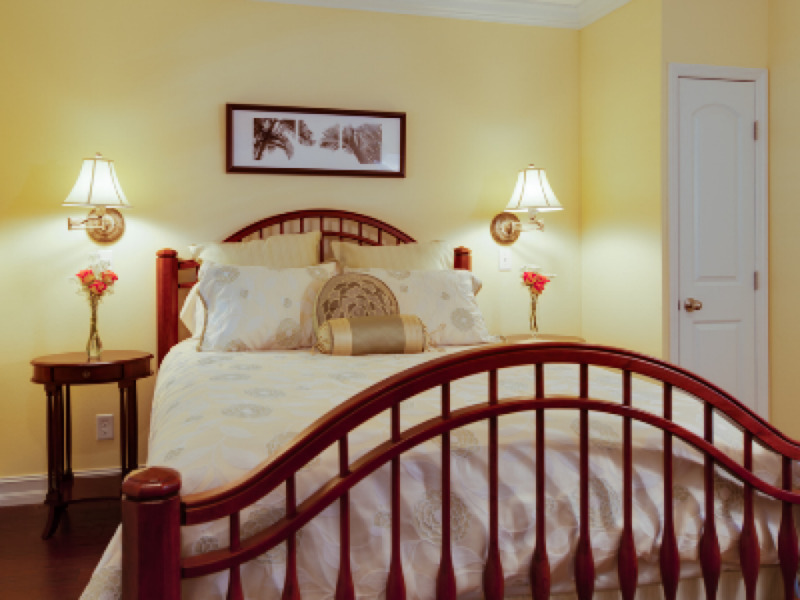 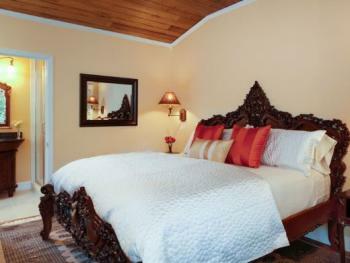 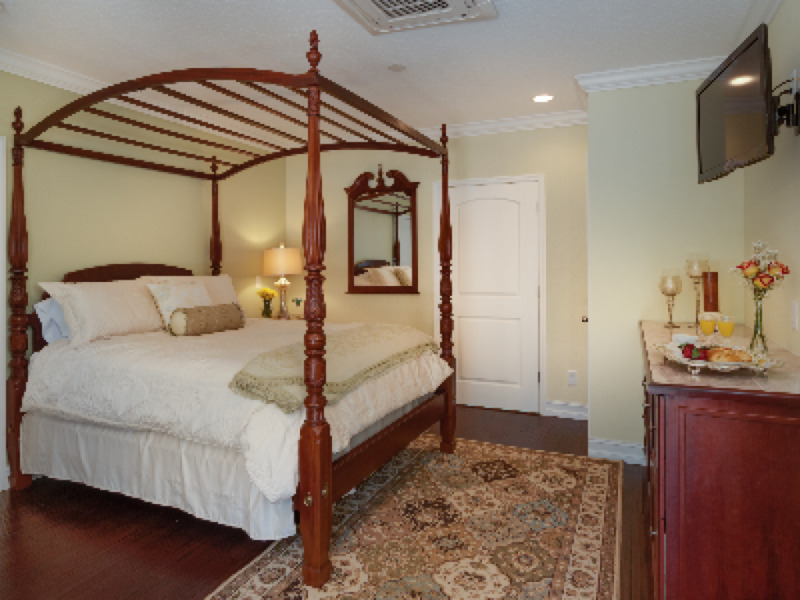 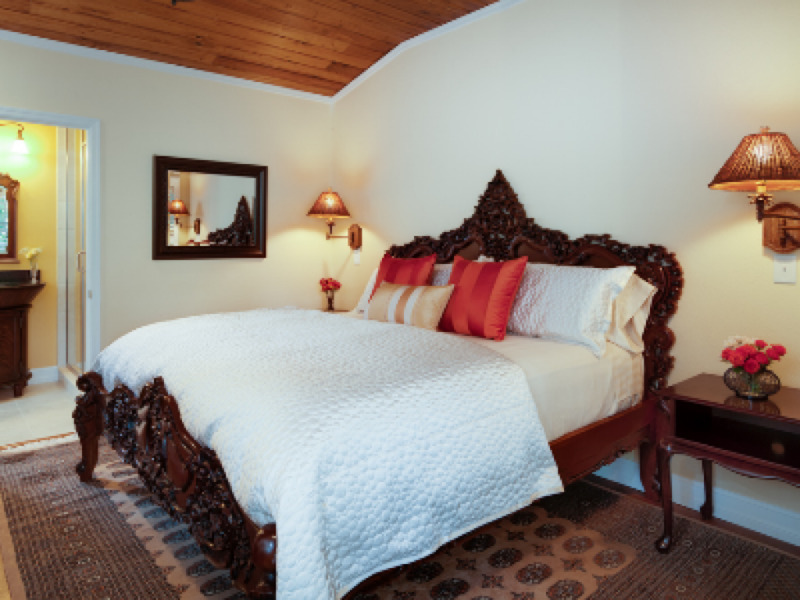 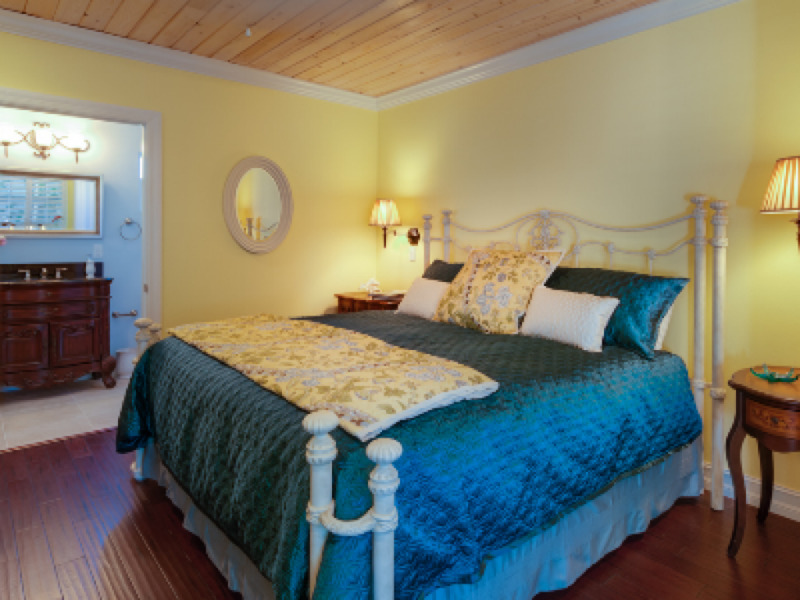 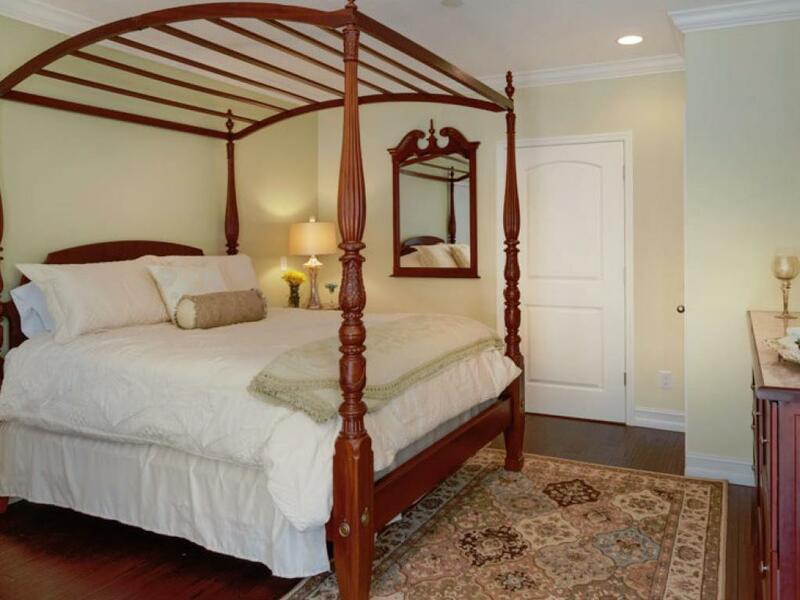 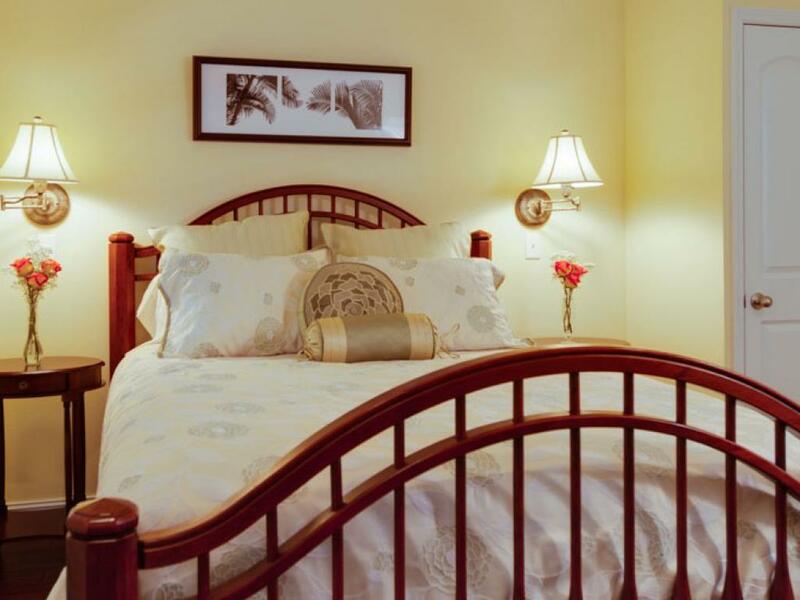 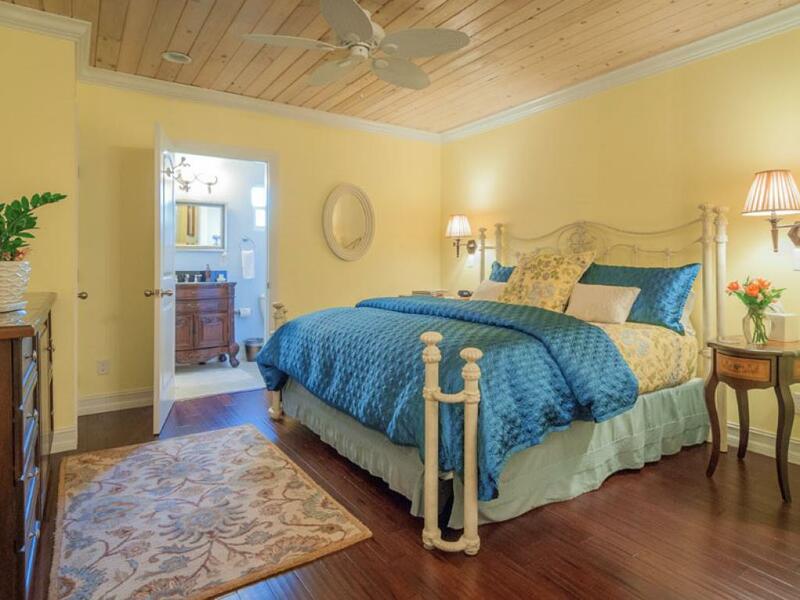 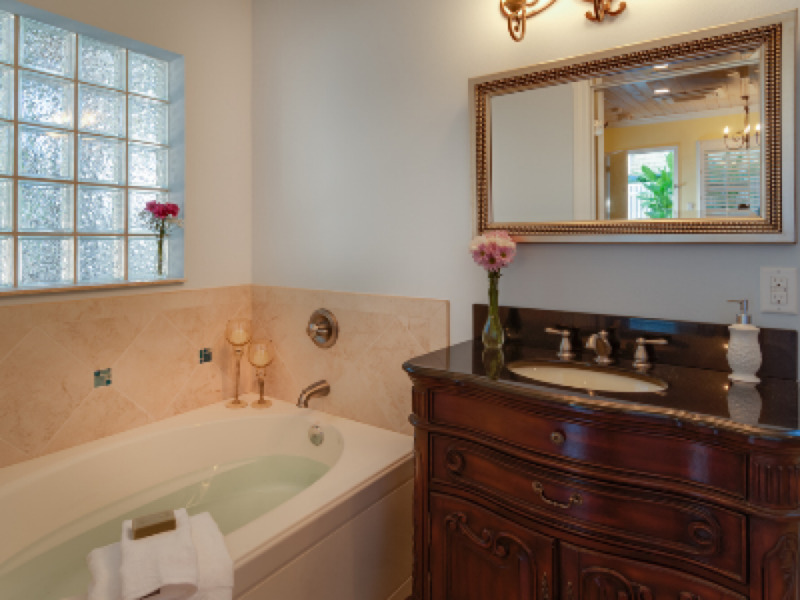 The perfect retreat, this Deluxe 2nd floor room features a hand-carved King sized bed with full-sized Steam Shower. 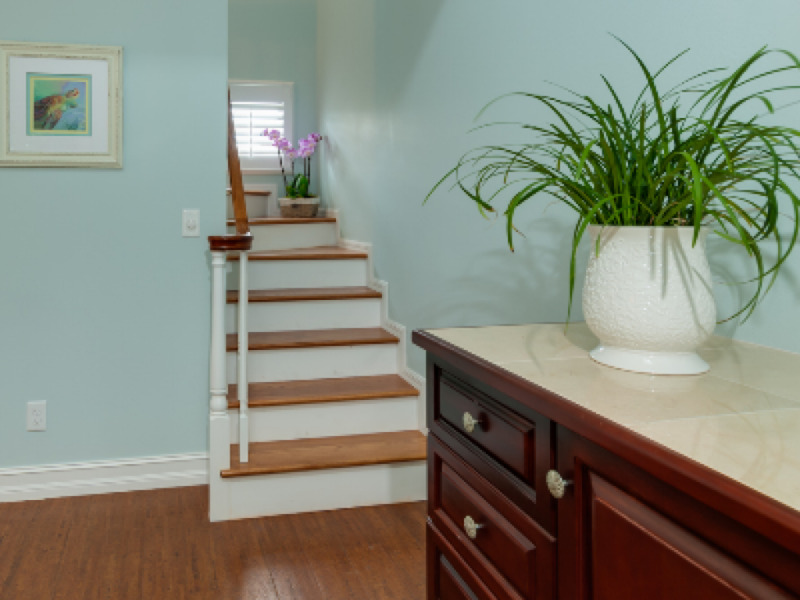 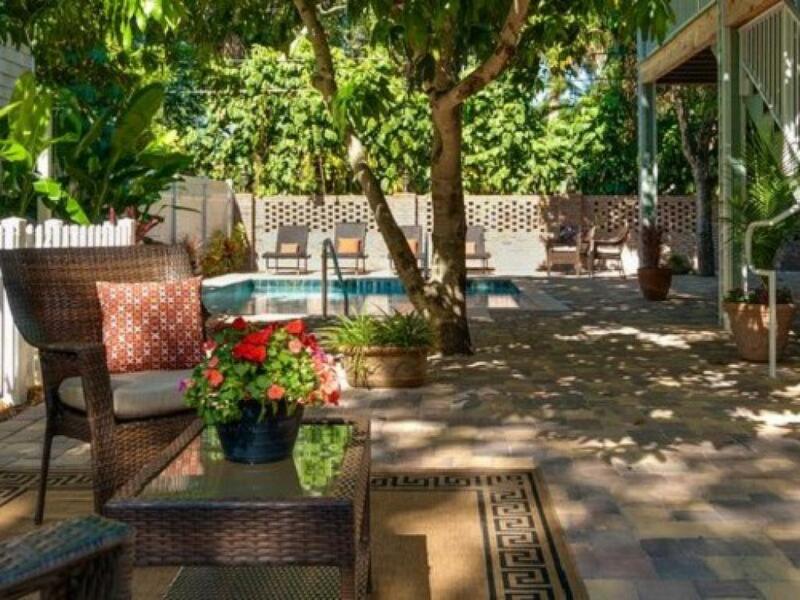 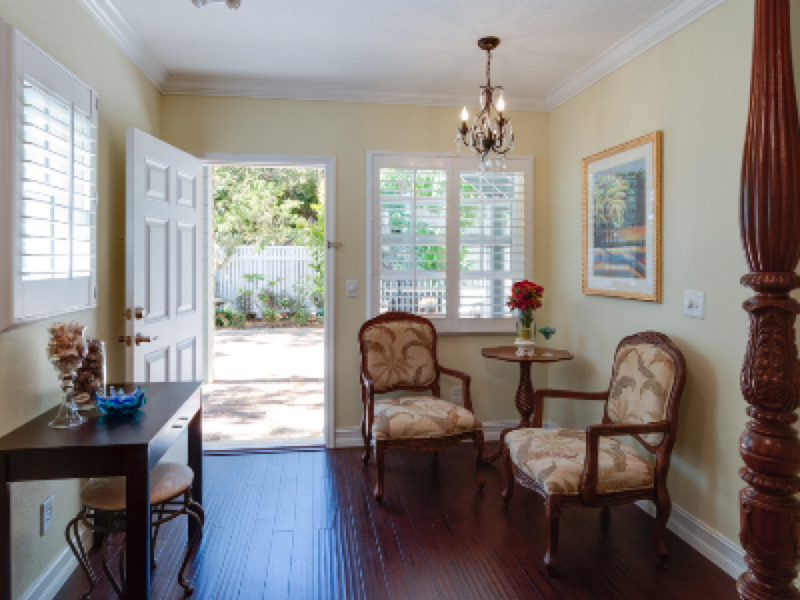 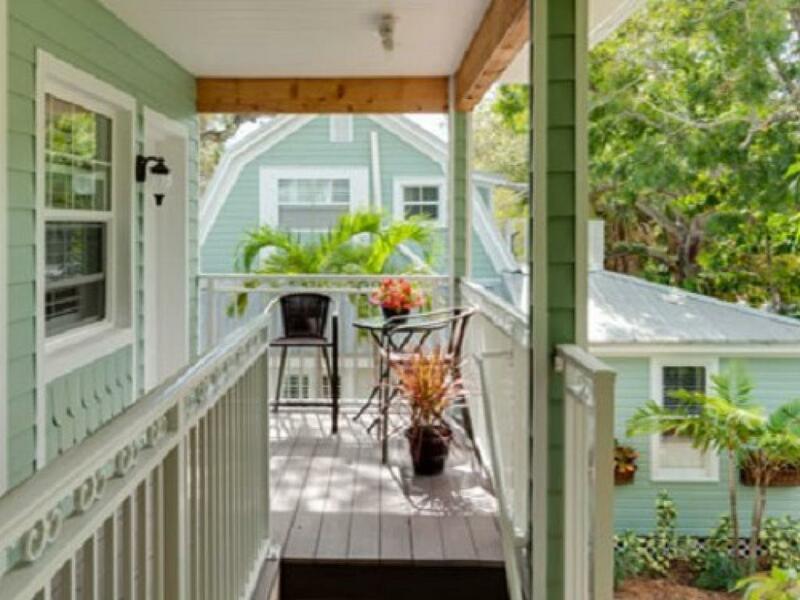 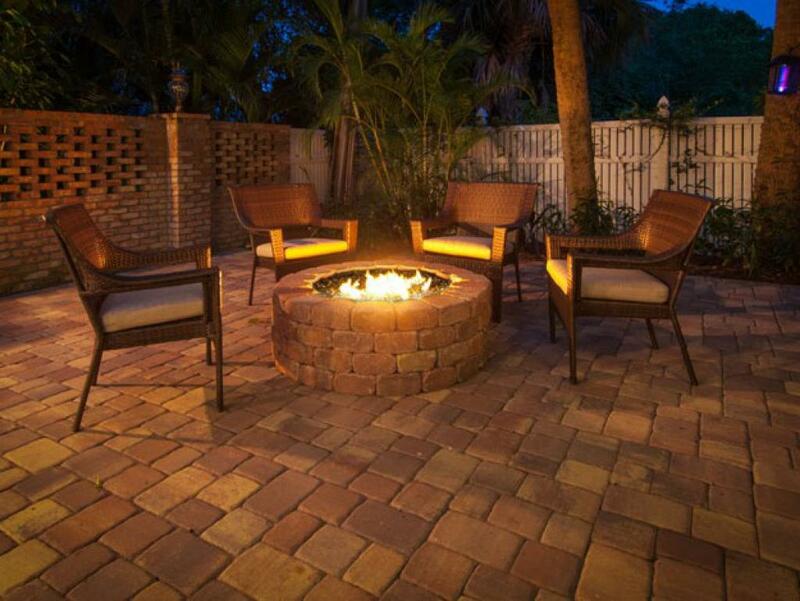 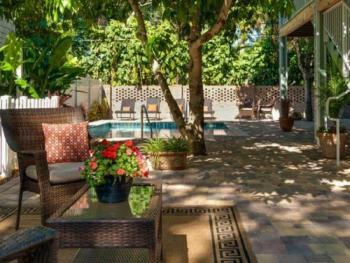 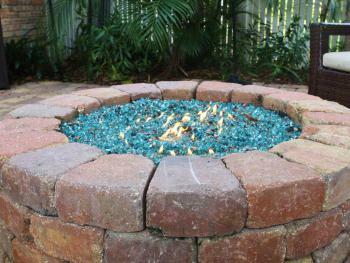 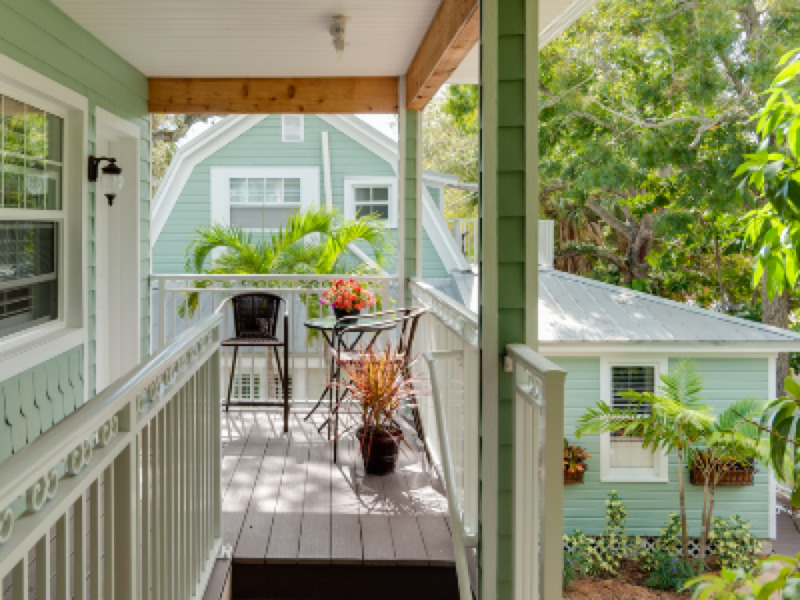 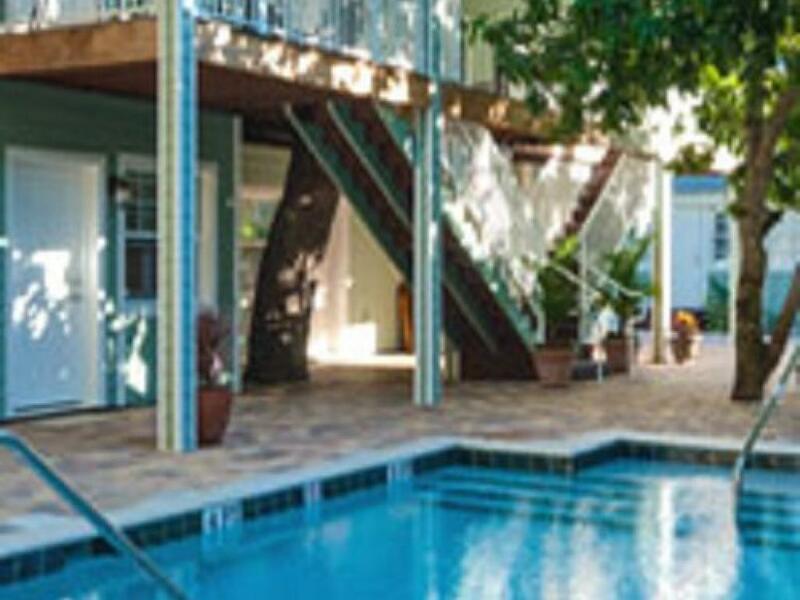 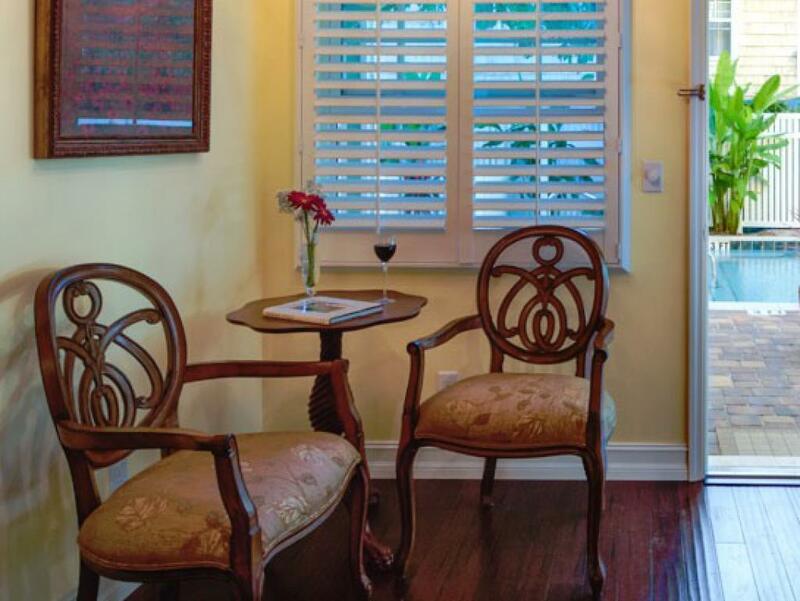 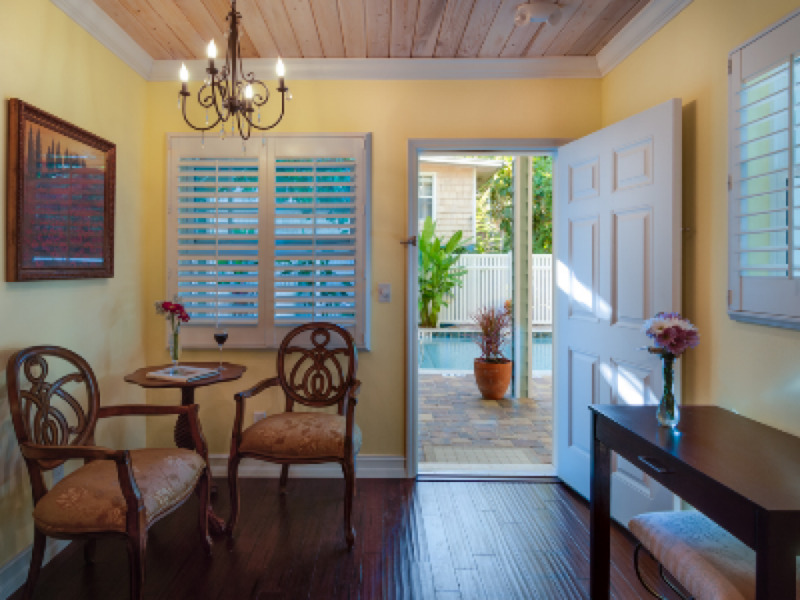 An elegant courtyard retreat downstairs in the Royal Palm. 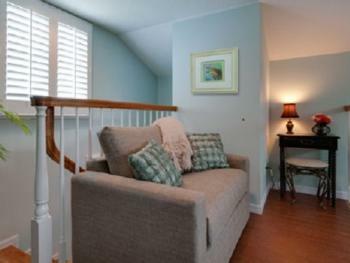 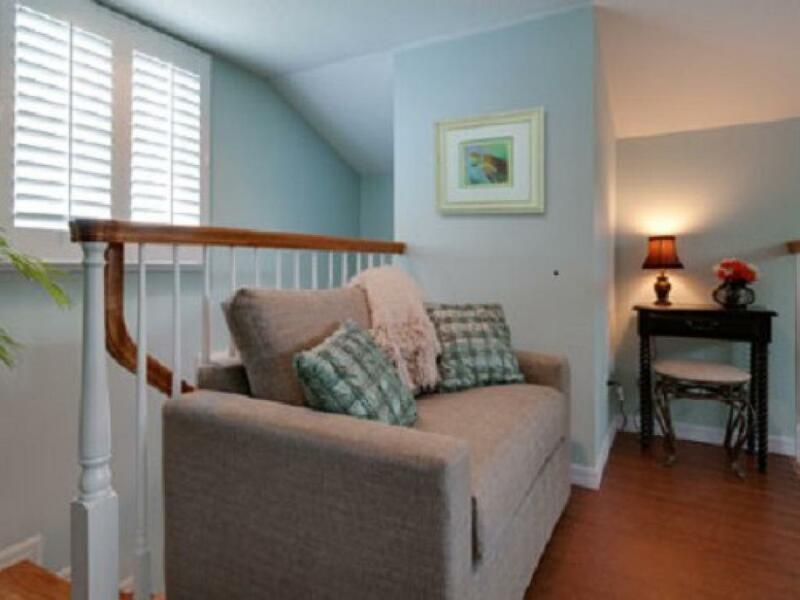 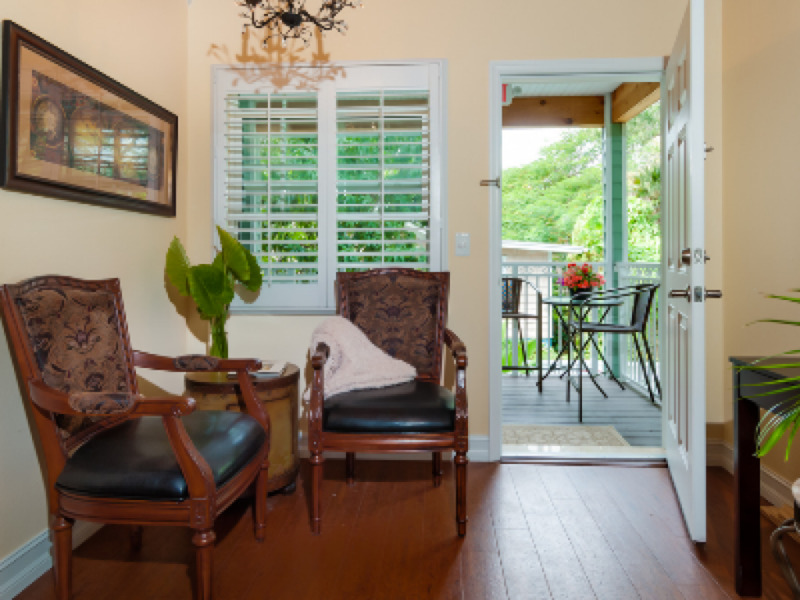 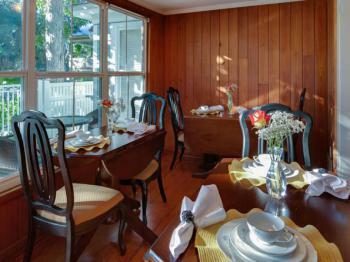 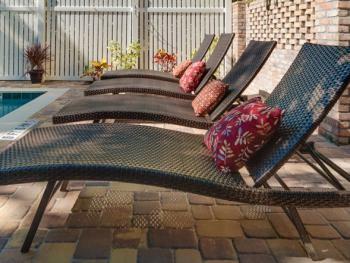 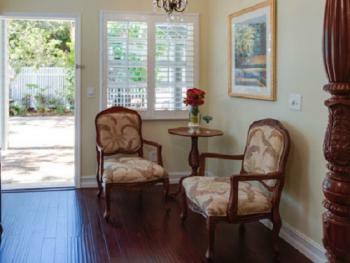 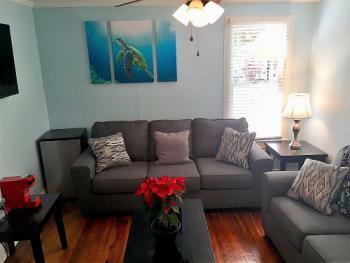 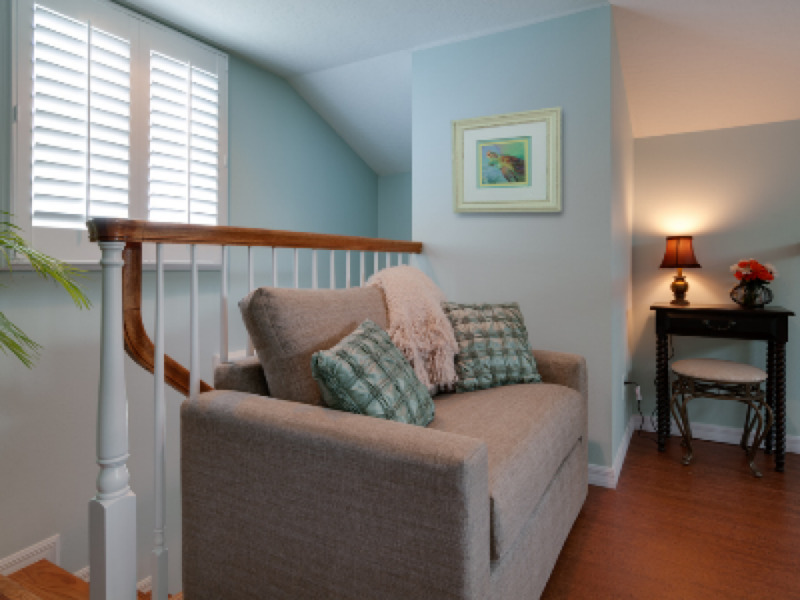 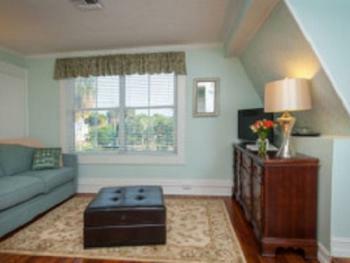 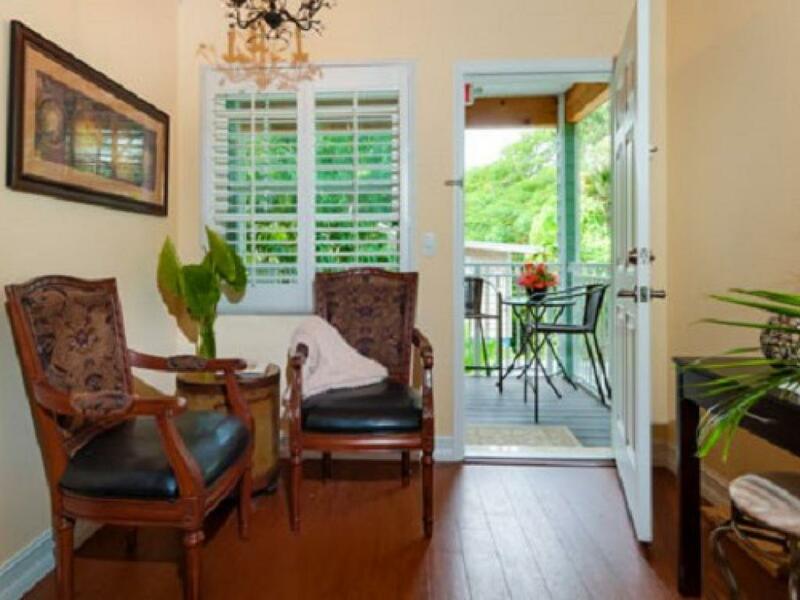 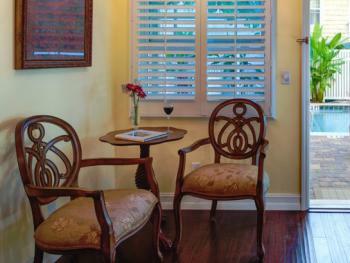 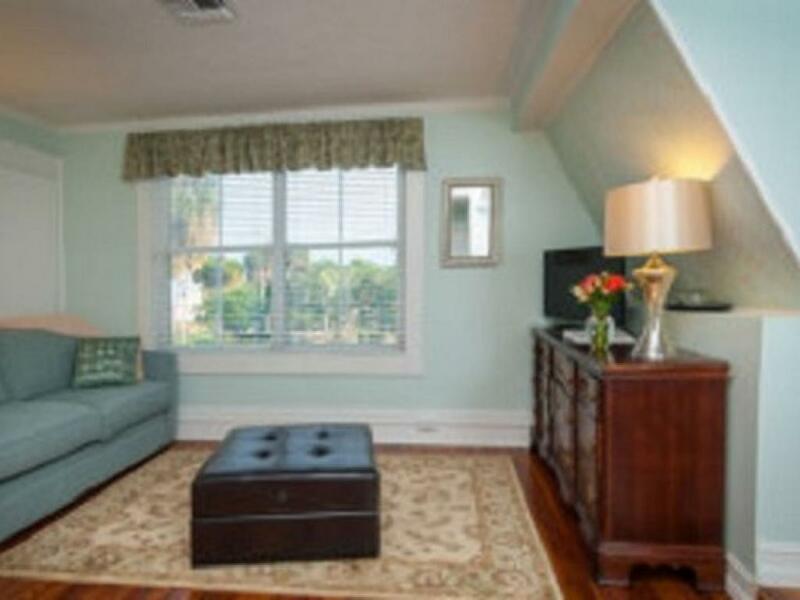 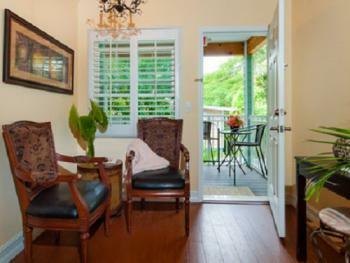 This spacious ground floor room features a gardenside sitting area and gorgeous Queen sized bed. 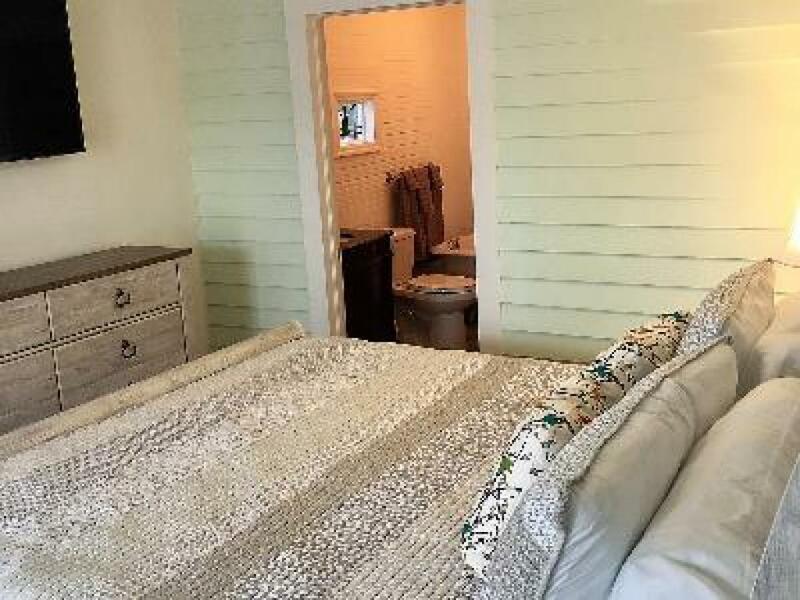 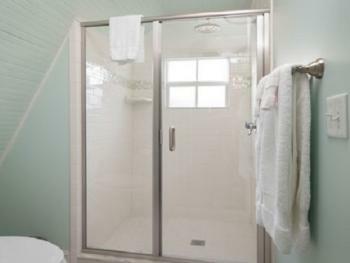 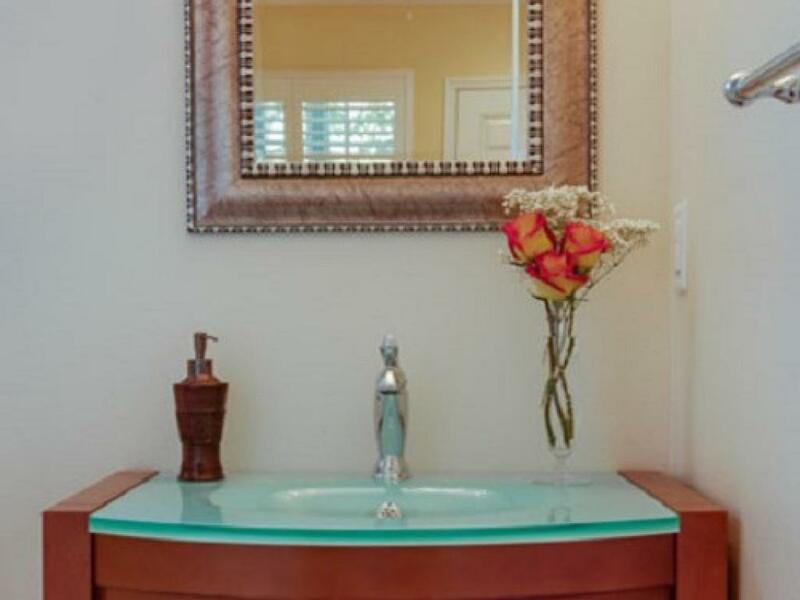 Extra-wide doors and a walk-in shower make this room ideal for handicapped accessibility. 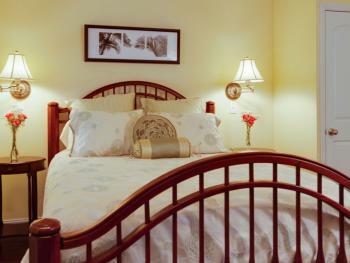 A cozy ground floor room with Queen sized bed and outside sitting area. 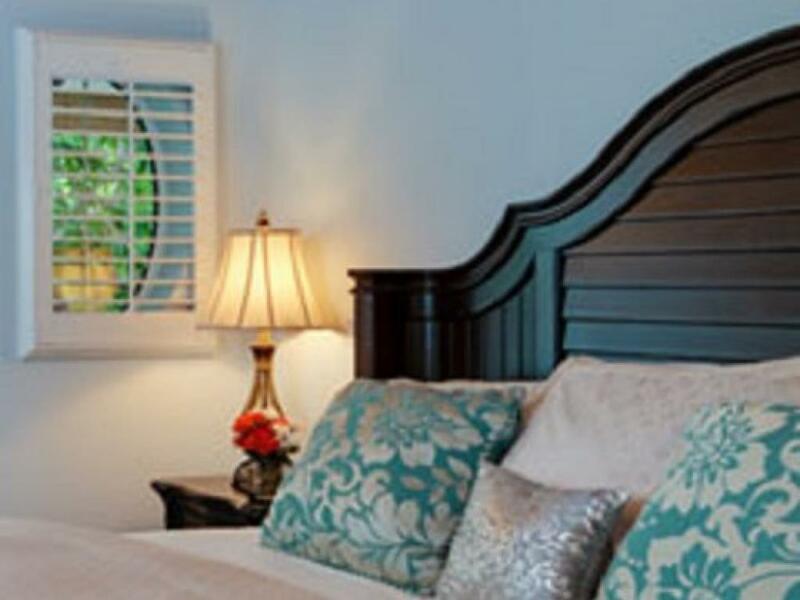 This room can optionally connect to the Royal Palm next door. 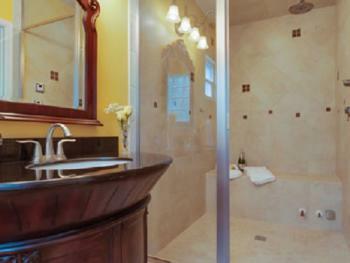 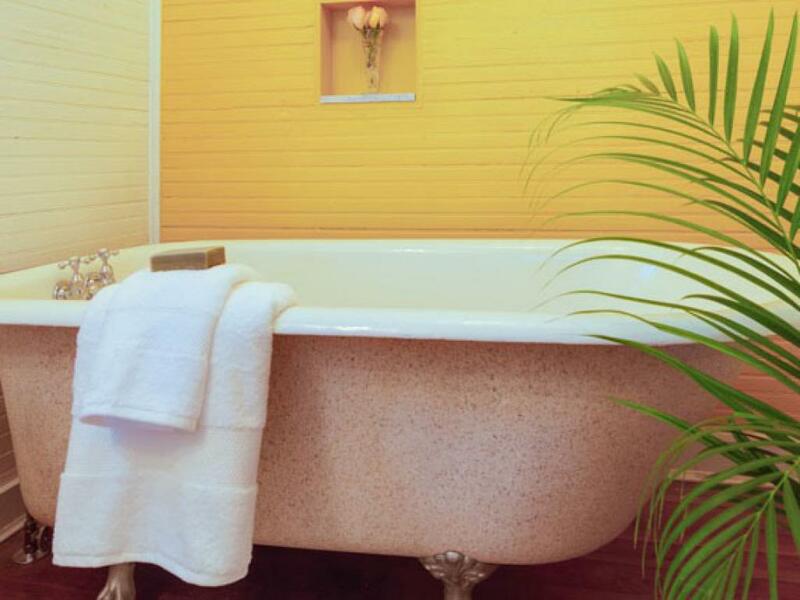 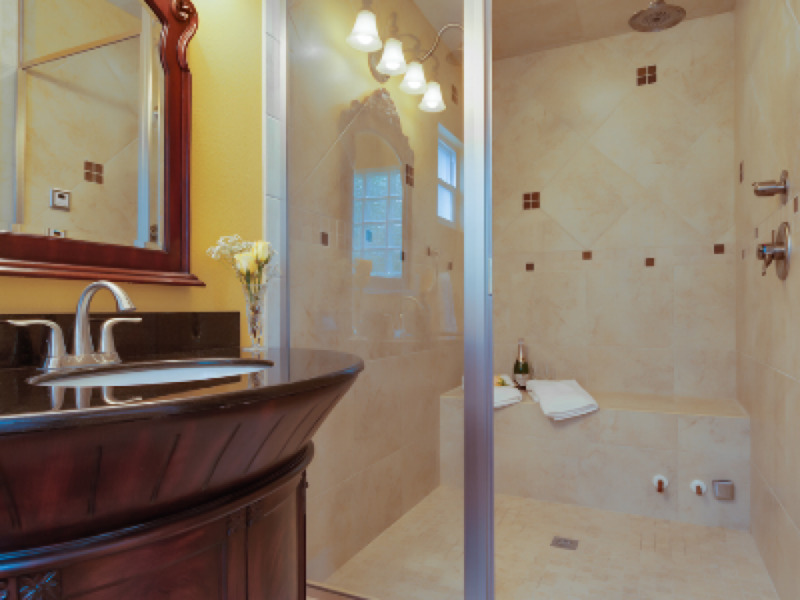 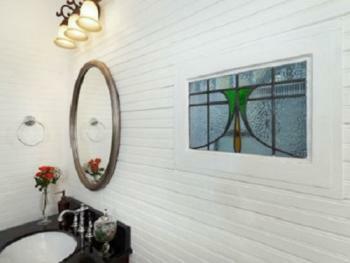 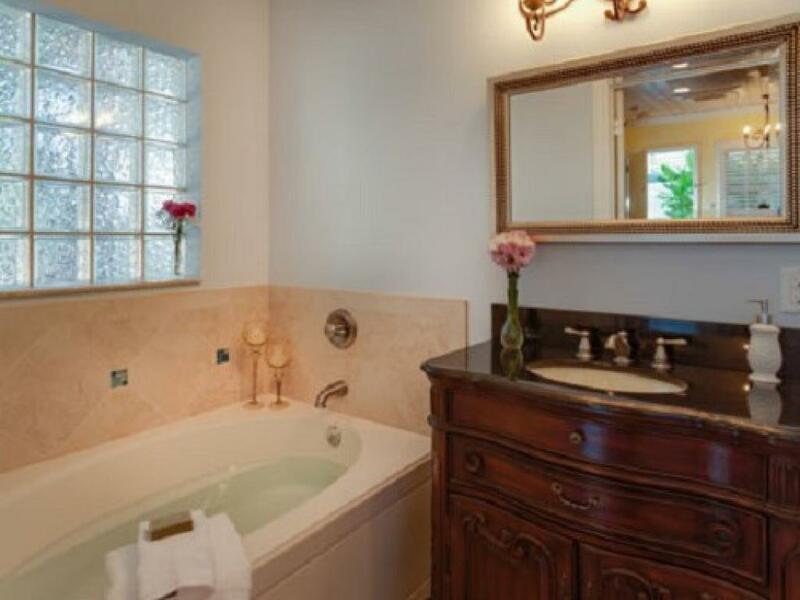 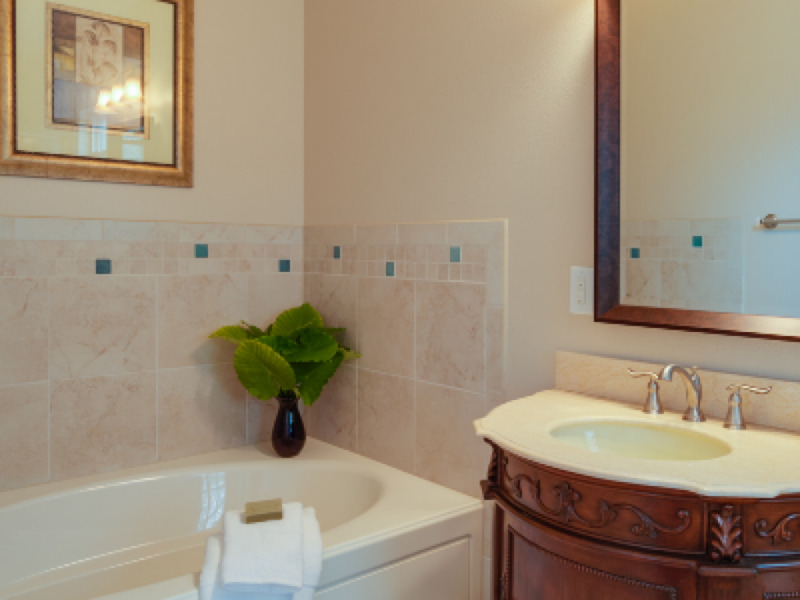 Bathroom features a relaxing bubble tub with rainhead shower. 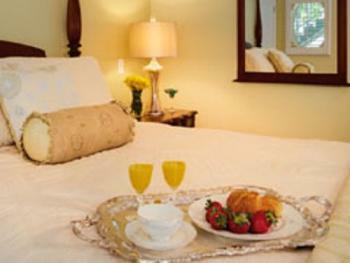 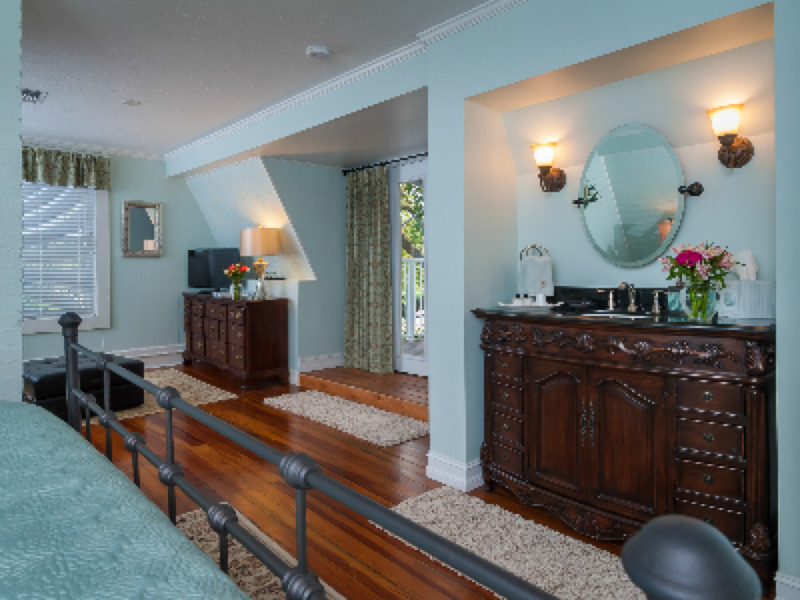 Enjoy our signature suite upstairs in the Historic Inn House. 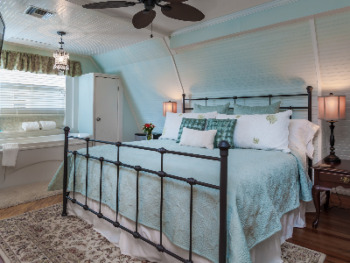 This premiere room is the perfect romantic retreat featuring a King sized bed, private river view balcony, spacious sitting area with sofa, and an in-room spa tub. 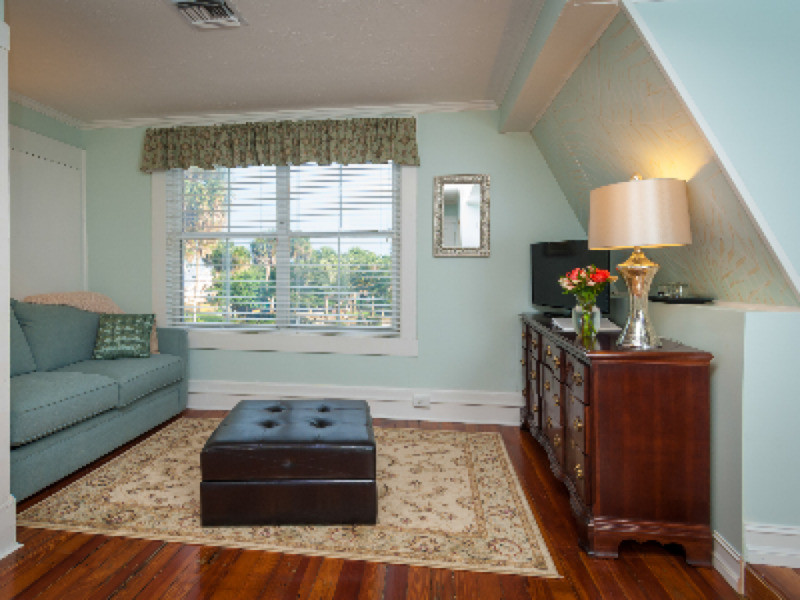 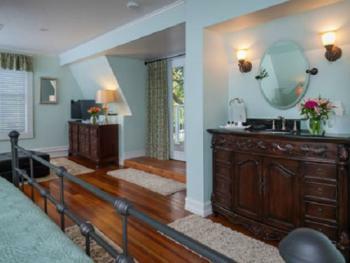 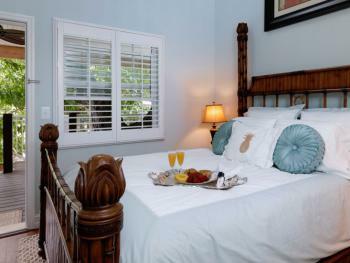 Treehouse favorite, this 2nd floor Deluxe room features a Queen sized bed and a loft for sitting area or extra guest. 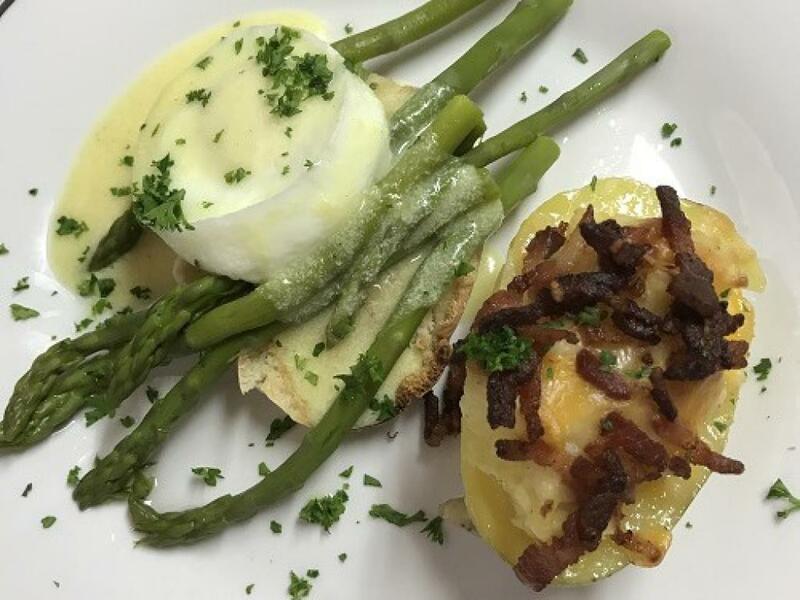 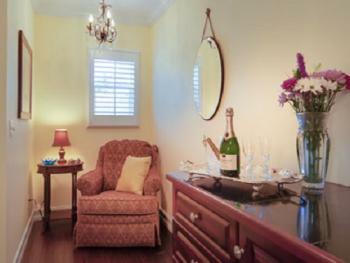 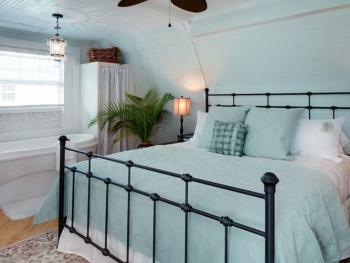 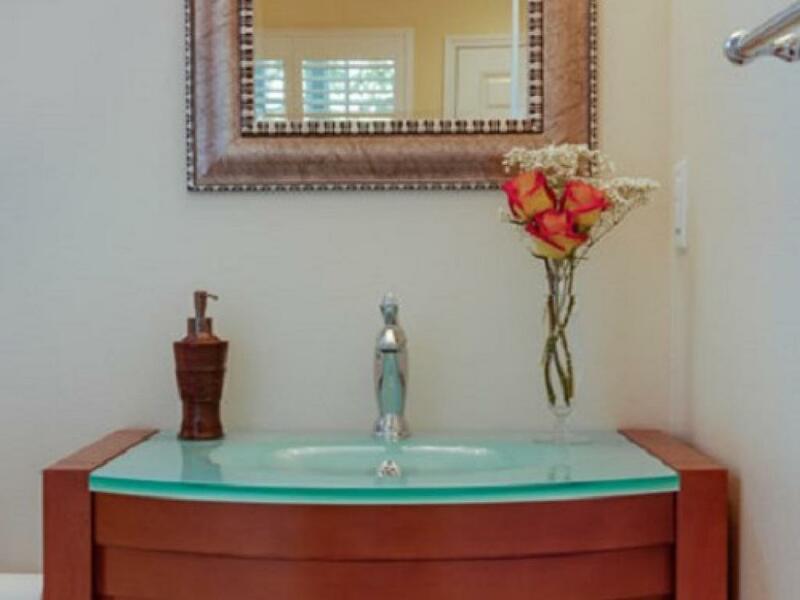 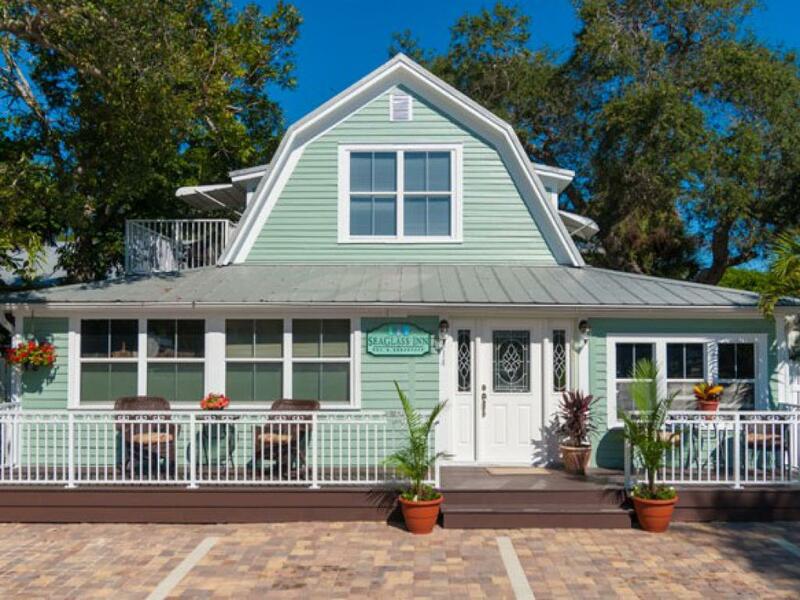 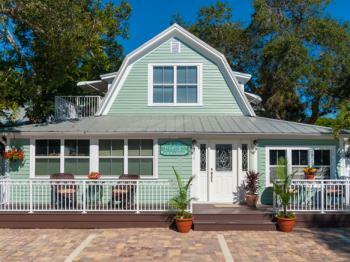 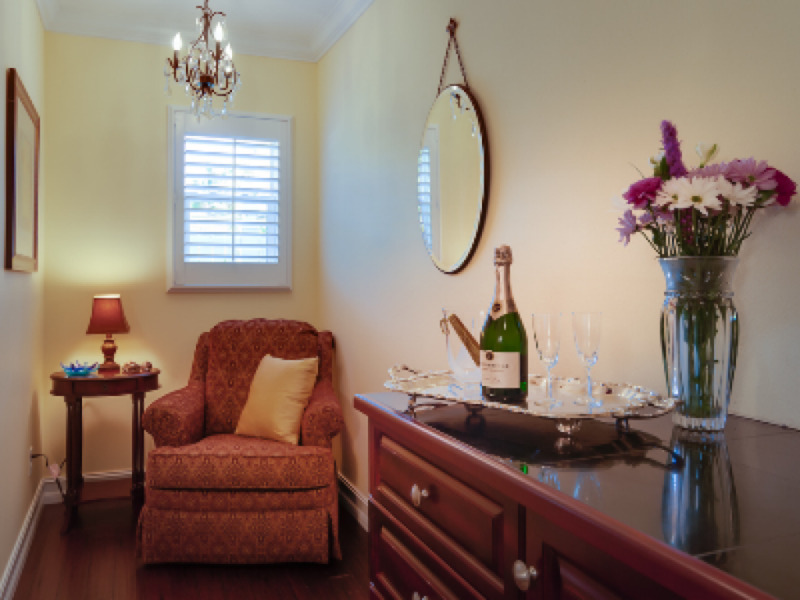 The SeaGlass Inn is a unique and charming property that brings together the history and character of a bed and breakfast with the modern amenities and luxurious accommodations of a boutique hotel. Guests enjoy exceptional upscale guestrooms overlooking an expansive tropical courtyard where they can relax under the shade of our mature mango tree, swim in the heated pool, or sit by the outside gas fire pit.